The best way to maintain flight is for a wing to remain level. But level flight doesn’t offer up a fish from the river. There are a multitude of calculations and feather changes during a fishing run. This 4-year-old bald eagle is using some of his feathers on the outer edges of his wing tips as ailerons to control his roll. Those “ruffled” feathers along the middle of his wings act as spoilers to give him precision for his hunt. 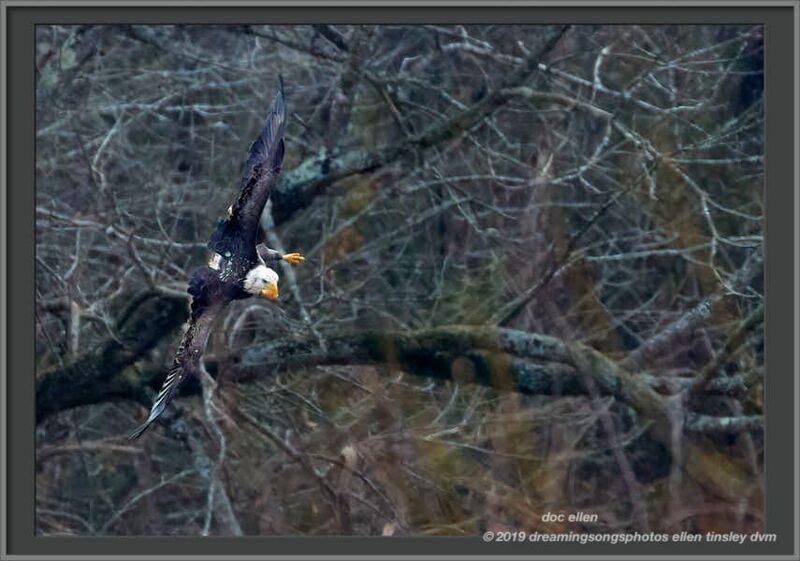 Posted in birds, Eagles of Jordan Lake, Haw River, Jordan Lake, Jordan Lake State Park, photography, raptors, wild birds and tagged as American bald eagle, bald eagle, bald eagle flight, bald eagles of Jordan Lake, eagle, eagles of Jordan Lake, flight, Haw River, immature bald eagle, immature eagle, raptor.